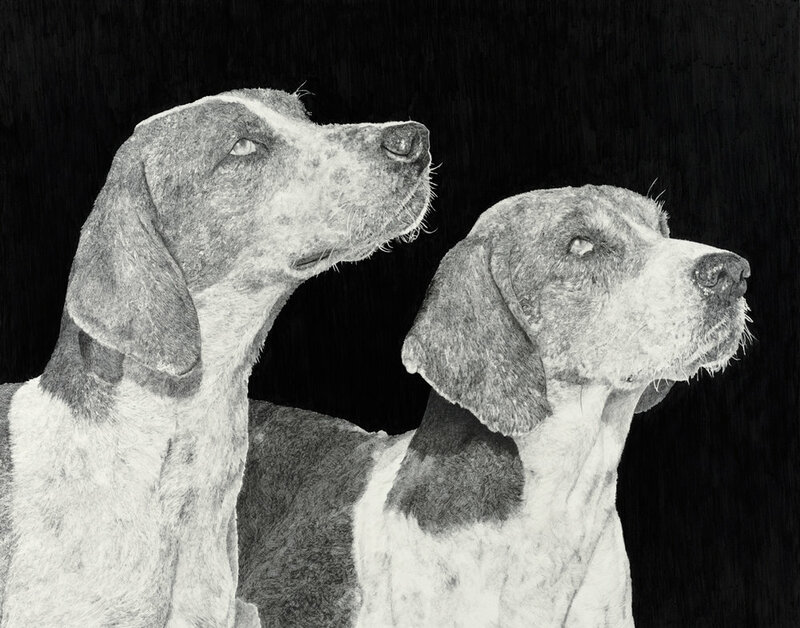 Carol Rowan creates original drawings and paintings with a variety of subjects. Click on each section below to view a larger selection. Visit the “Complete works” page for a searchable database of all Carol’s works. 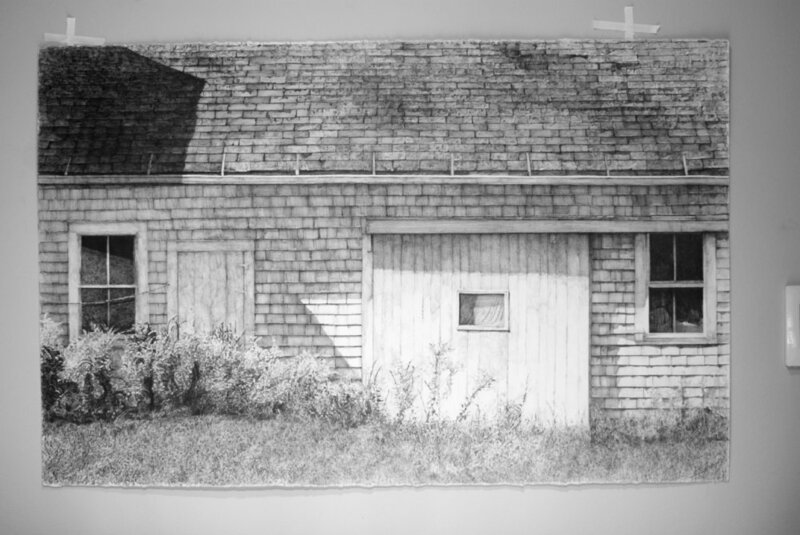 Carol Rowan captures scenes of American life and scenery with meticulous craftsmanship and an eye for detail. 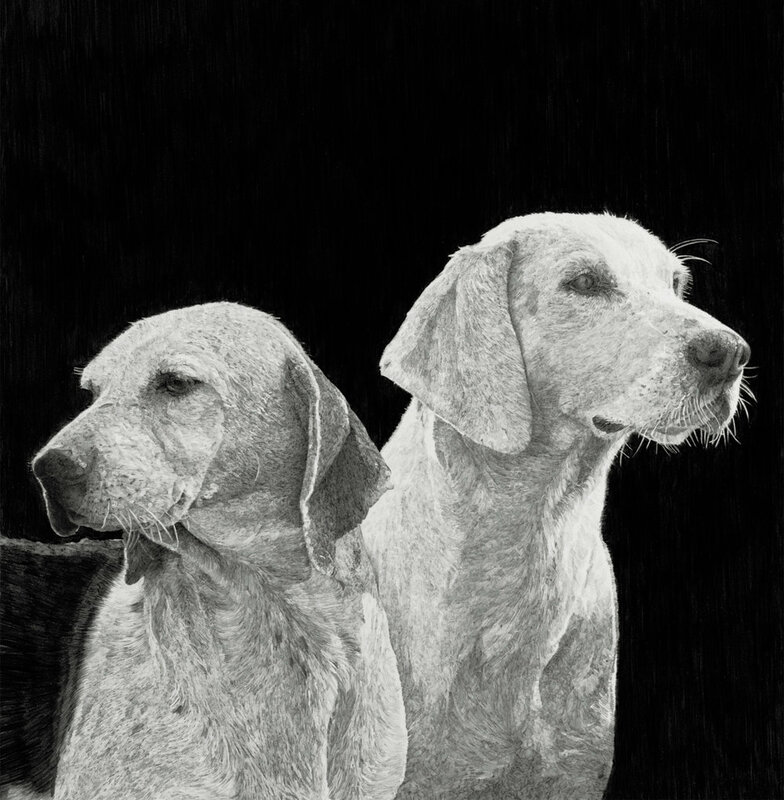 Oil paintings and finished graphite drawings are the perfect focal point or accent in your home or office. 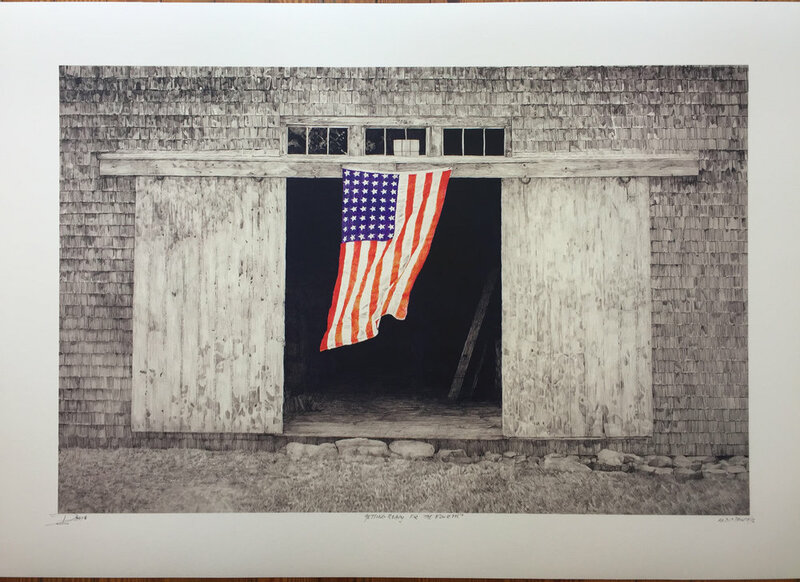 Some of Carol’s favorite subjects include old barns and buildings (in Maine and elsewhere), vintage American cars and trucks, and still life including works with flowers, fruits, and vegetables. These simple but striking artworks lend sophistication to any setting. About the works; Color works are oil on canvas or panel; black and white works are large scale graphite drawings on fine art paper. 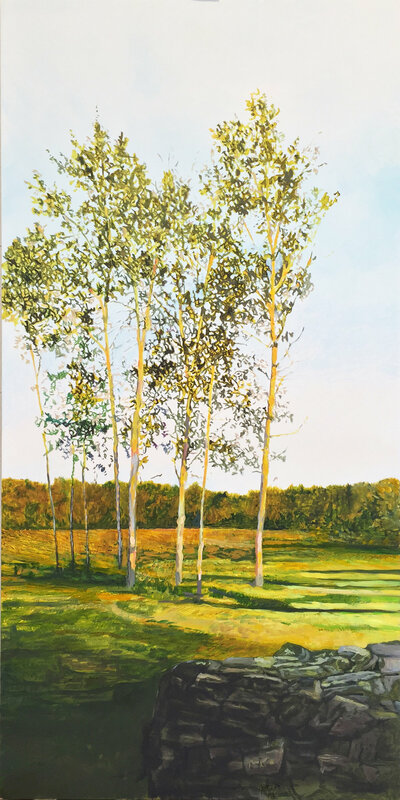 See more American Realist works by Carol Rowan. A broad expanse of sky over a harbor filled with small boats. 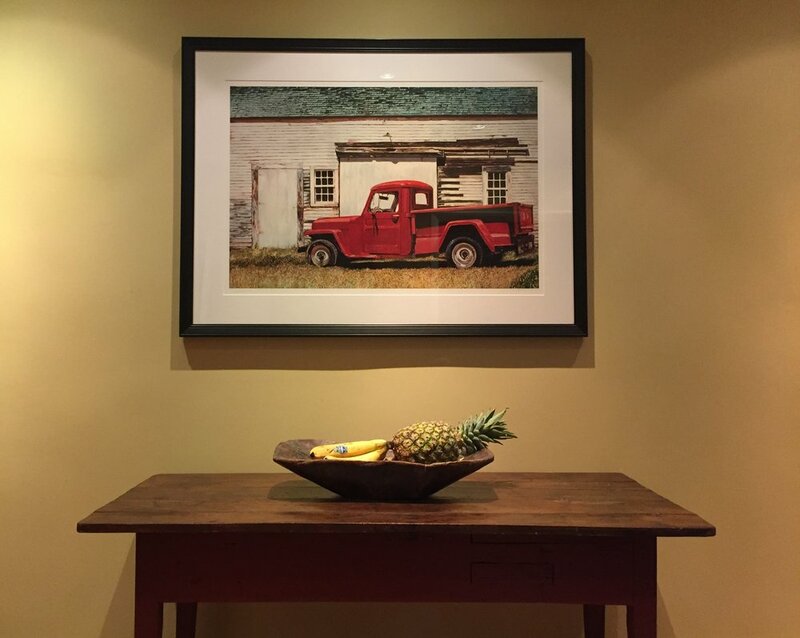 What could provide a better focal point when decorating your office? 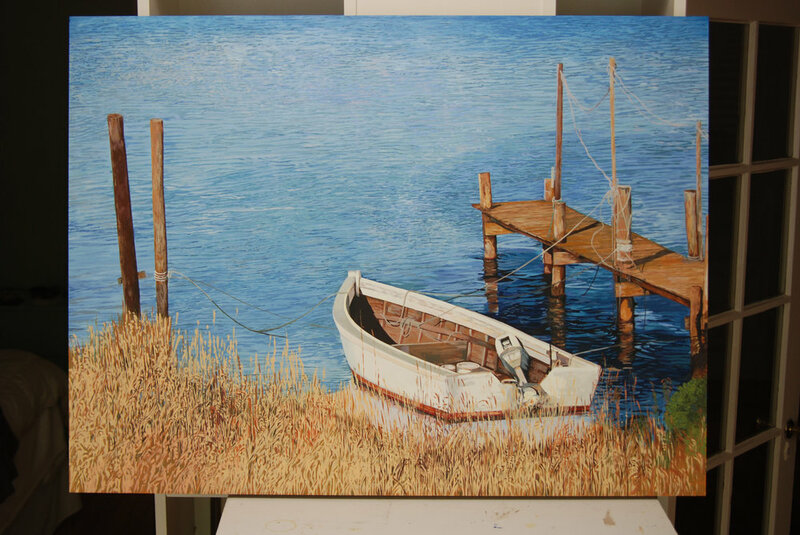 Realistic water scenes lend calm to a hectic or stressful working environment. 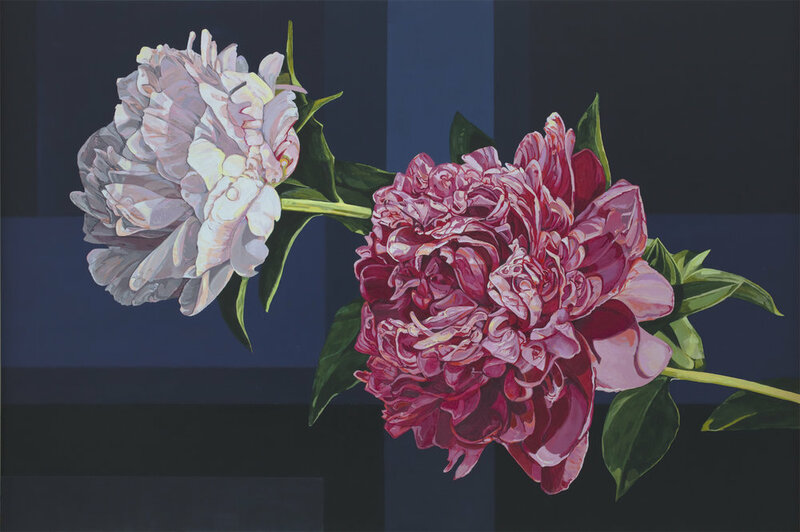 Whether you choose a large oil painting for your reception area, or a small graphite pencil drawing, elegantly framed, close to your desk, a work of art can improve your productivity as well as your mood at work. It isn’t widely discussed, but art is also a valuable entry point when your visitors are uncomfortable or under stress. 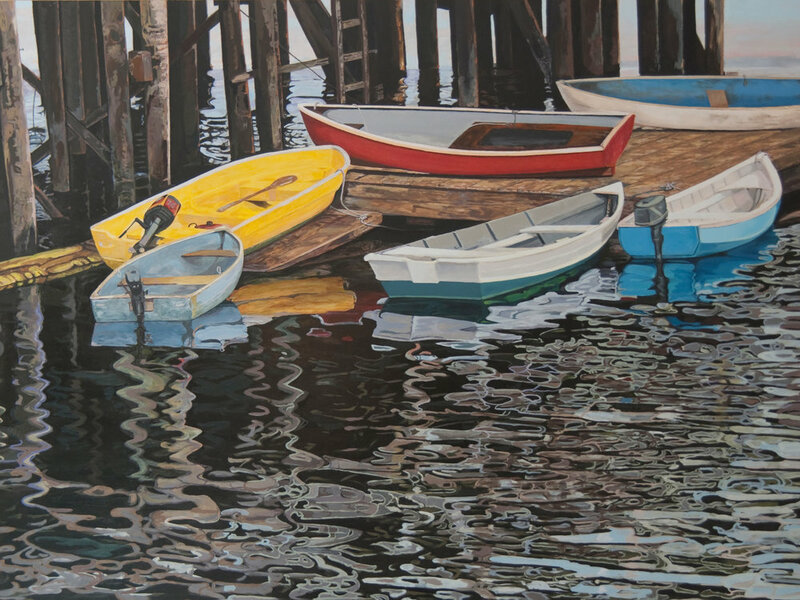 Carol Rowan paints gorgeous scenes of harbors, sailboats, and lobster boats on the water in Maine, England, and Australia, as well as intimate studies of casual gatherings of dinghies and other small craft. A small number of original oil paintings and pencil drawings are available to view in her Washington, DC, studio by appointment. Art lovers are also invited to commission their own unique work of a favorite or ideal marine scene. Carol has loved horses since she was a little girl. 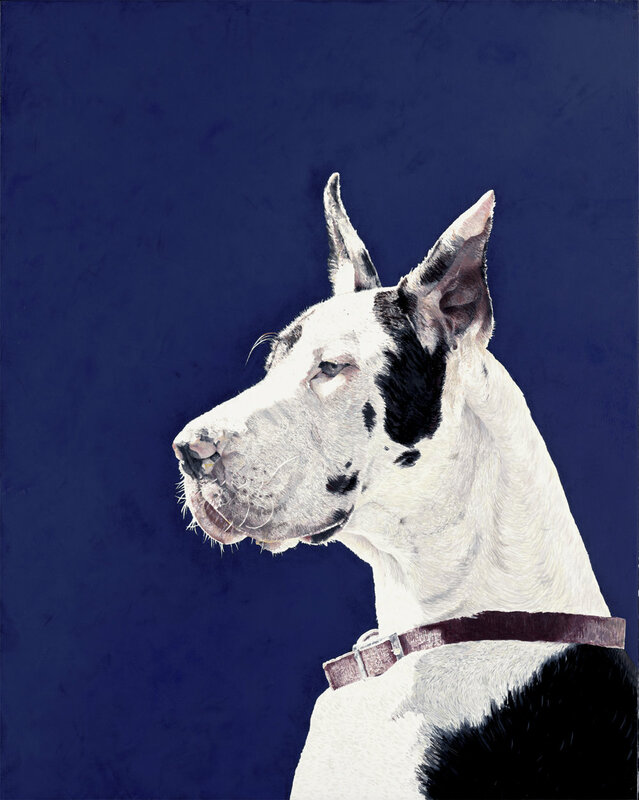 In these paintings and drawings, she portrays the elegance and athleticism of many types of horse: draft horses, dressage horses, hunter jumpers, or a newborn pony from the landscape around Exmoor, the world’s oldest dog kennel. 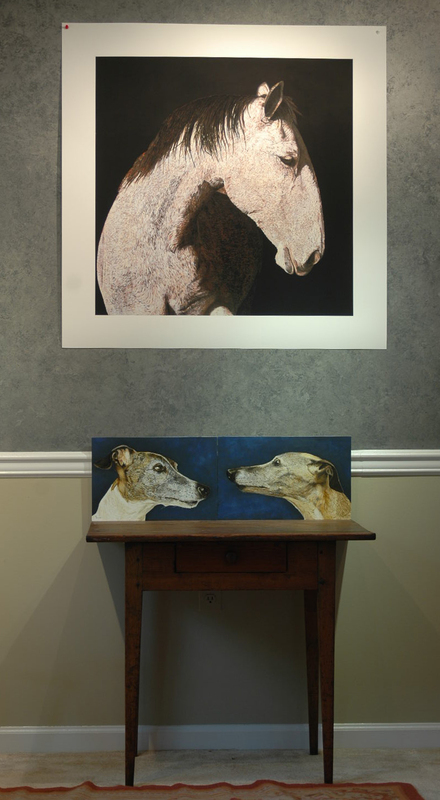 A variety of equestrian works is available in different media, including large scale pencil drawings and colorful, focused original oil paintings. 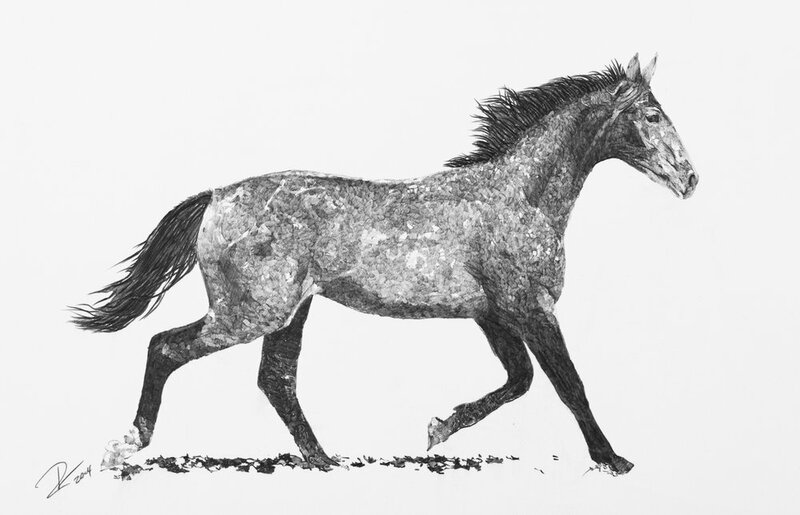 A horse painting or drawing by Carol Rowan makes a great gift for the horse-lover in your life, whether they love to ride, train, or just admire these noble animals. Want to see more subjects? Visit the “Complete works” page for a searchable database of all Carol’s works.